A summary table of walks includes distances, facilities and highlights, allowing you to find the perfect walk for your needs. Each walk is richly illustrated to give you an idea of what to expect. 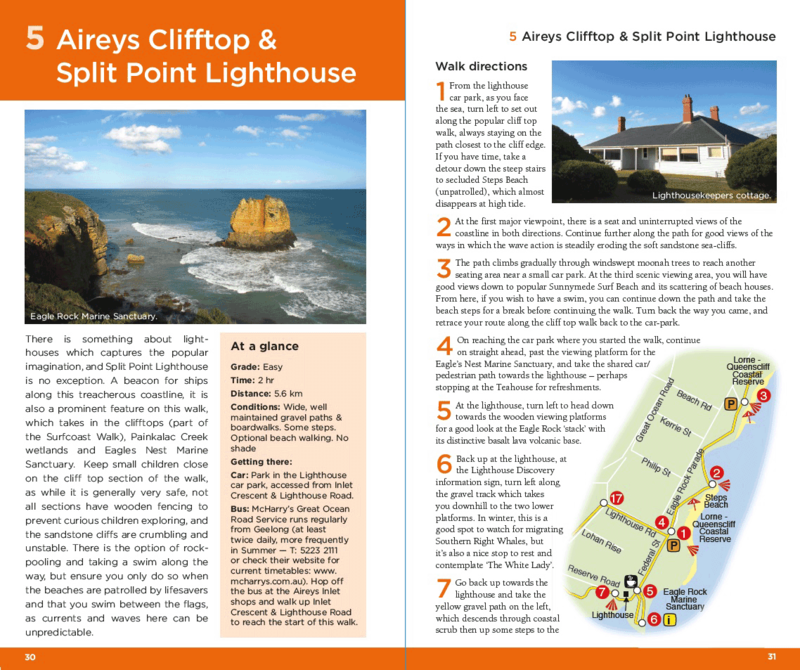 Detailed step-by-step instructions and full colour maps for every walk. Learn about regional history, the local environment, as well as other local attractions and activities. 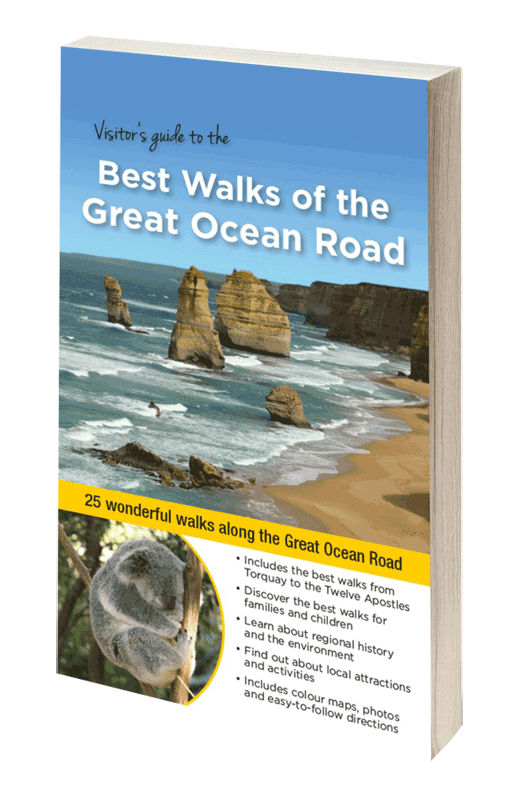 Visitors Guide to the Best Walks of the Great Ocean Road takes in the entire region, from Torquay to The Twelve Apostles. The walks range from half an hour to four hours, and include a good selection that are suitable for all fitness levels, even children. The Great Ocean Road’s coastline is rugged and dramatic. You’ll explore deserted beaches and walk alongside limestone cliffs. The eight-day, 100 kilometre Great Ocean Walk is the most famous trail in the region, but that’s not everyone’s cup of tea. This book features several sections of it that can be walked in half a day or less. Take in the cool temperate rainforests of the Great Otway National Park, strolling through damp ferny gullies, between giant moss-covered boulders, where the smell of eucalyptus hangs thick in the air. Sit and soak up some of the most spectacular waterfalls in the region, from the famous to the lesser known. You’ll see Kalimna Falls, Henderson Falls, Phantom Falls, She Oak Falls, Mariners Falls, just to name a few. The western section of the Great Ocean Road is also known as the Shipwreck Coast. Explore the coastline that claimed hundreds of vessels from the early 1800’s to mid-1900’s. A walk around Moonlight Head guarantees you’ll stumble across a couple of ship anchors. Look hard enough you’ll find debris from other wrecks, too. Neil Fahey is a Melbourne-based hiker, blogger and freelance writer. 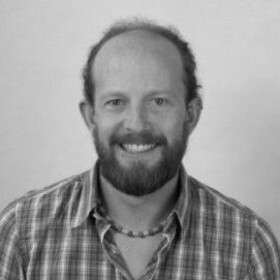 His website, Bushwalking Blog, covers many hiking trails in Australia and abroad, and has won several awards. He’s also written for Viator Travel and the Australian hiking magazine, Great Walks, among others. Neil has been holidaying along the Great Ocean Road since childhood, and in more recent years he’s explored many of the trails in the Great Otway National Park. 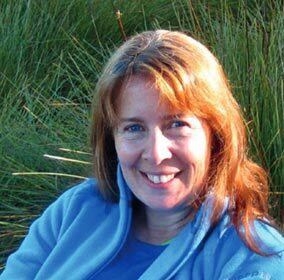 Julie Mundy is a Melbourne-based international aid worker, inveterate traveller, and has been a keen walker her whole life. She feels very lucky to have walked in many parts of the world — her travel/walking & books blog is Walks Melbourne. Julie has several walking guides under her belt, including Melbourne’s Best Bush, Bay and City Walks, and Best Walks of Geelong, the Bellarine and the Brisbane Ranges. She also writes occasionally for Great Walks magazine and Weekend Notes.